Rest is sacred and necessary; woe to start a day that was not preceded by peaceful dreams! And to sleep well you know, you have to rely on a comfortable mattress and furniture that allow us to feel at ease. Starting right from the bed, whose style, shape and color must be in line with the living environment and in harmony with our personal taste. Not only! Going up and down stairs, physical effort of various kinds, altitude changes, submit our body to stress caused by having to counter the magnetic effect of the force of gravity. The element where to find new energy is therefore a bed suitable to accommodate properly our body and to protect it during the different stages of sleep, so as to avoid other stress due to incorrect postures. But what beds are to be preferred and what size do we need, for the rest and their positioning in the home, do not turn into a series of unpleasant episodes for our daily lives and for our body? Choosing the quality for our rest is in itself a good way to secure an optimal sleep. Buying a bed crafted as the Letti Santambrogio is an important choice that will accompany us in time thanks to the durability of the product. It is also good to keep in mind some fundamental concepts. 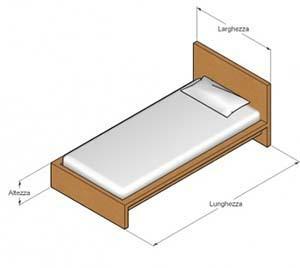 The bed is designed to accommodate in regular conditions, a maximum of two people, and by virtue of that, it must have certain minimum requirements; the size of the beds must comply with regulatory minima that for the double beds consist of a width not less than 1.70 m and a length of 2.00 meters, with a height including the mattress between 50 and 60 cm. The single beds, must have a width of not less than 80 cm and a length of about 2 m; for the height of the same rules of double beds. In this regard, it is well to specify that even if are commercially available furnishing defined beds with minor measures to those described, these can not be considered adequate for a night stay prolonged and effective from the point of view of physical well-being during sleep. Another element to consider in the structural composition of the bed are the headboard and the tread with measures that vary according to the type and style of the bed. 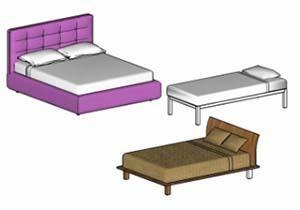 After listing the basic concepts and elements related to the use and size of the standard beds, in order to consciously choose the type best suited to our needs, it is necessary to dwell on the different characteristics of the elements mentioned and the consequences that these choices are causing to our body. The bed height is very important when we should not forget that the bed needs to be handled at best to keep it in order and to guarantee the right hygiene it needs. The very low beds are extremely inconvenient to clean in their entirety, and though today with modern electric articulated brooms, you can in theory reach every corner of the underside of the bed, it is still uncomfortable to do this. Equally awkward is making and unmaking a bed that is lower than 45 cm, including the mattress. 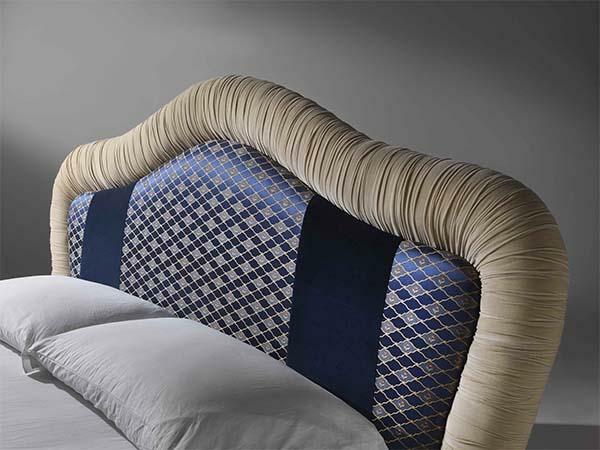 The horizontal level of a bed is another factor to be taken into great consideration in the choice; In fact it is good to avoid buying nets too rigid or too flexible, regardless of the material they are made of. The market specializes in the industry, provides nets of all kinds in order to satisfy every need, in fact there are fixed slats ie not removable, adjustable slats frames characterized by the possibility of extracting the slats that resting on rails can be adjusted and spaced at will, folding slats that have the characteristic of allowing to relax but at the same time to read or watch TV comfortably. The latter can be bent to suit the height we most desire and are the ideal for those suffering from blood circulation problems, gait and digestion. The nets can also be roll-up, foldable ie on themselves, allowing in this way to save a lot of space, their movement can be manual or mechanical depending on the user's needs. From the above, it stands out how the choice of the bed, in addition to being closely linked to reasons of hygienic and ergonomics, depends also by the use of it if it is in relation to the age and the health of the user. Those who have the habit of often reading in bed or watching TV or something else, will have to consider the adoption of nets with movable slats. Those who do not have the same economic opportunities, but the same requirement of the preceding paragraph, can choose a bed with a more headboard to the various positions to be taken. Who has too much weight, or finally special postural needs, caused by disease or other it is better to choose nets with movable slats in order to replace them in case of breakage or to put more or less according to the needs. Letti Santambrogio are made of natural and non-toxic materials and with the most advanced features related to product and manufacturing. The structures of the double beds are made of solid wood or plywood in poplar and give the beds a unique strength. The manufacture is indestructible and the materials used for the coatings may be soft cotton or other types of fabric or leather, faux leather, velvet and even microfiber, for a guaranteed customization! 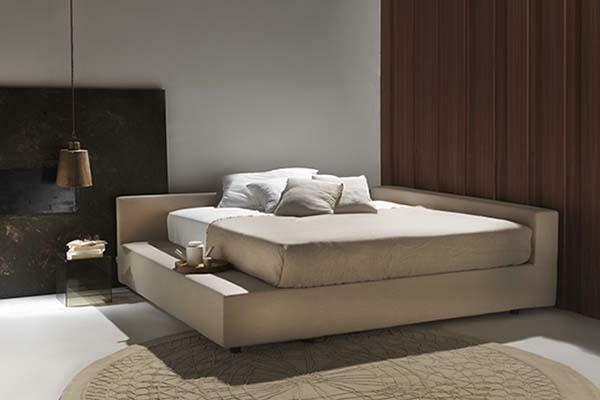 Also the single beds Santambrogio can have a variety of finishes, ranging from a vintage style to a classic one, or even the essentials of modern lines; they are upholstered beds with anti-allergenic materials, anti-mite and washable. In both cases it is possible to provide the structure with a storage drawer that fits various space requirements. 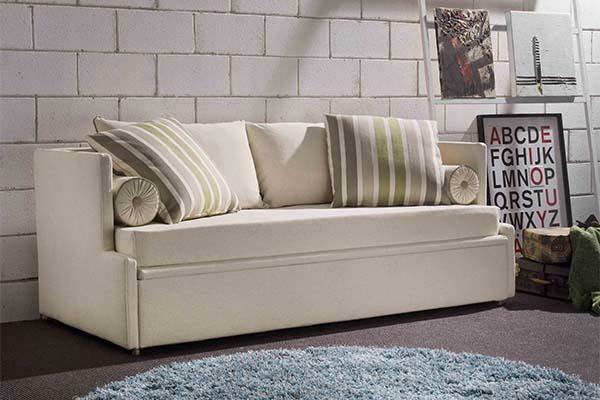 The choice of a storage bed for the house often helps to solve at least in part certain problems related to the lack of wardrobes and containers, thanks to the use of a surface, the one below the bed, which would otherwise be unused. Storage beds Santambrogio are one of the strengths of the company also because of practical ergonomic mechanism that determines a great ease of use. In the line of storage beds, Santambrogio has really surpassed itself, creating the perfect blend of lifting speed of the net, convenience of the bed and care for every detail. 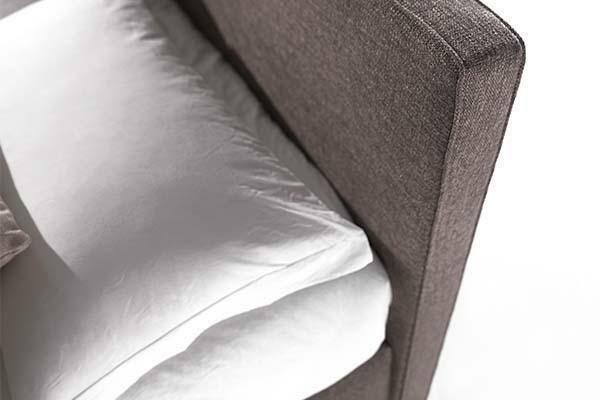 Like all upholstered beds of the company from Brianza, the coating materials are of various kinds, but always and only high quality: soft cottons, upholstery in leather and eco-leather. 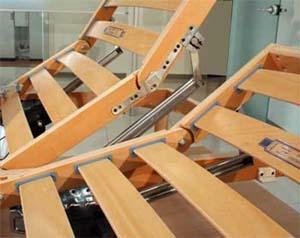 Foldaway beds can be an optimal solution to solve space problems increasingly recurrent in modern city apartments. In an environment of reduced size, where the importance and the skill of the designer need to be able to optimize every corner, the foldaway beds complete the look, leaving the functionality of the room, with a small encumbrance. The foldaway beds were too often mistreated, or at least relegated to a band considered lower than other types of more traditional beds. In fact they are extremely functional because they can be located anywhere: in a bedroom, living room or in an open space that needs more space. Nothing is left to chance: from the slats, to move to the structures in solid wood until the present anti-allergenic and anti-mite materials, becoming common features in the creation of each foldaway model of bed. To be fully satisfied with the quality and with the way in which a bed frame interacts with the surrounding space you should be able to count on the purchase of custom-made beds. Santambrogio, for the realization of the beds avails itself of the use of the most modern processing techniques and fine leathers. Installed in a living environment, these beds have the ability to create with it a relationship of great neat balance, modern and stylistic research that blends with the functionality to create a really interesting product! 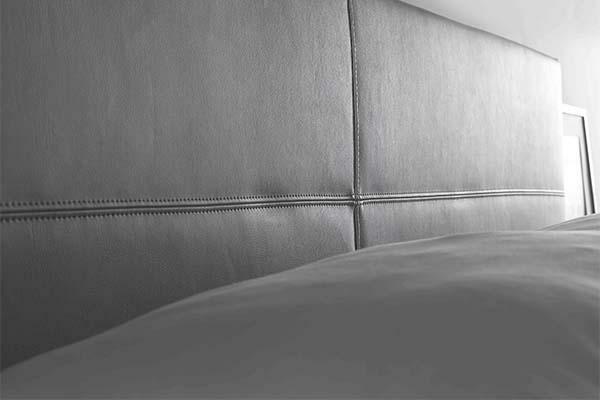 The beds Santambrogio are characterized by innovation in treatments on leather, the quality of fabrics, the multilayer shell really indestructible; anti allergic padding and anti mite that protect them from external agents. The slatted wooden nets with adjustable stiffness report the importance of the convenience of the product before its appearance, just to guarantee a perfect rest. - Lugano, soft lines and slightly rounded. The collections Santambrogio love the simplicity and purity of forms; some lines have brighter colors, some others more soften, depending on the process and the choice of each hide. All beds are also available equipped with the practical and functional drawer in the double ded version and for the single bed. Choice of bed: who to contact? For more than 40 years Santambrogio thanks to a beautiful combination between craftsmanship and modern techniques, produces beds and sofas of great preciousness. Double beds, upholstered beds, single beds, foldaway beds, are shaped in a laboratory that has brought history into modernity. The quality of solid wood, the foundation upon which the bed frame stands, and the attention to detail in the headboards are the first ally to a fantastic sleep! 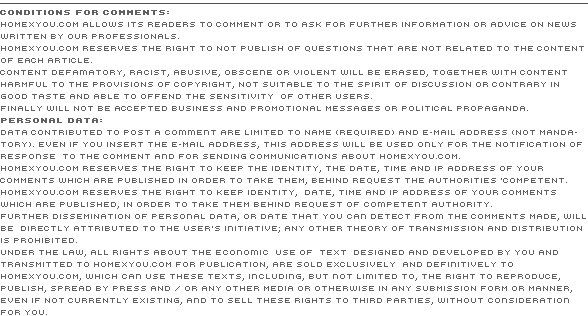 Valutation: 5.67 / 6 on 3 votes.